Fang Liu shows her workplace in the David de Wied building to DUB. The aim of her project is converting biomass derivatives into value-added chemicals effectively. Biomass is a promising solution for the worldwide rapid energy consumption problem and therefore a highly interesting research topic. 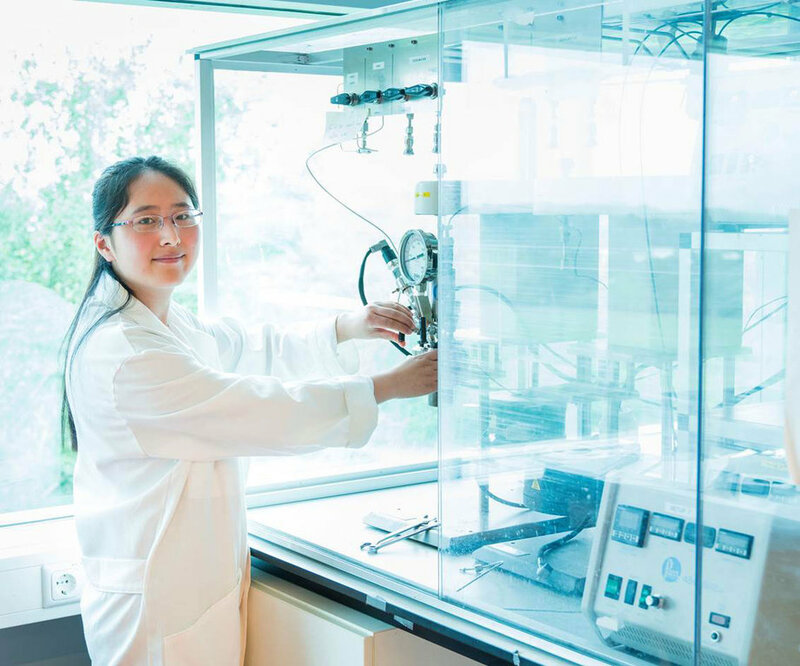 Liu performs her experiments in the high pressure lab, which allows performing high temperature (e.g. 220 °C) and high pressure (e.g. 30 bar) experiments. Fang Liu wokring in the high pressure lab, located in the David de Wied building.